Schools, churches, and other professional non-profit organizations need quality signage to complete their branding and raise awareness within their community. 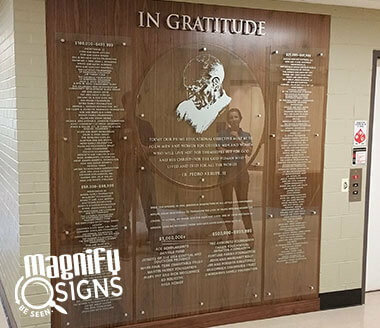 At Magnify Signs, we’ve worked with many local schools, churches, and non-profits to design, create, and install custom signage on-time and on budget. We proudly support the success of our local schools and non-profits. 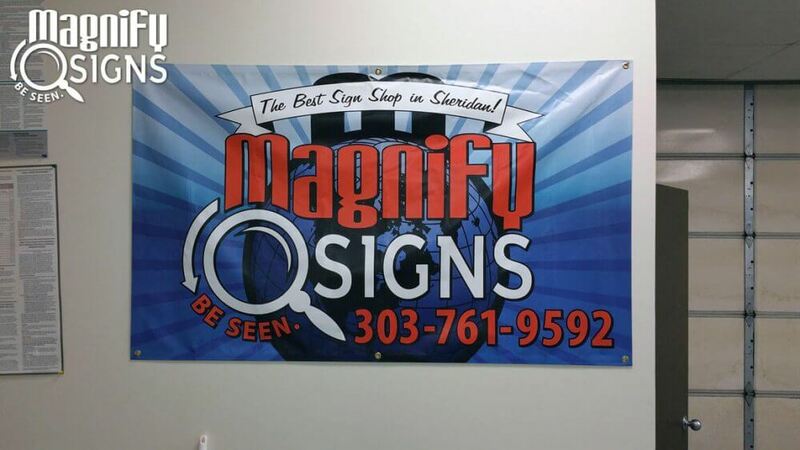 Tim Root, the founder of Magnify Signs, is on the board of the St. Sebastian Project Denver, an organization that provides athletic equipment and uniforms to children attending Catholic grade schools in the Denver metro area. Tim also volunteers as a basketball coach for the 8th grade boys at St. Therese Catholic Grade School and serves on the Advancement Committee at Regis Jesuit High School. His wife, Kelly, is on the board at Clothes to Kids Denver and volunteers in their store to help provide children from low-income families with clothing. 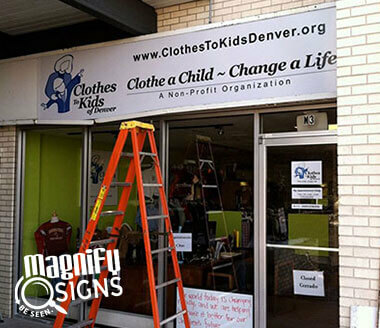 Our dedication to bettering Denver’s community by volunteering gives us a unique understanding of the importance of quality signage to raise awareness for local causes while creating a welcoming, professional look. 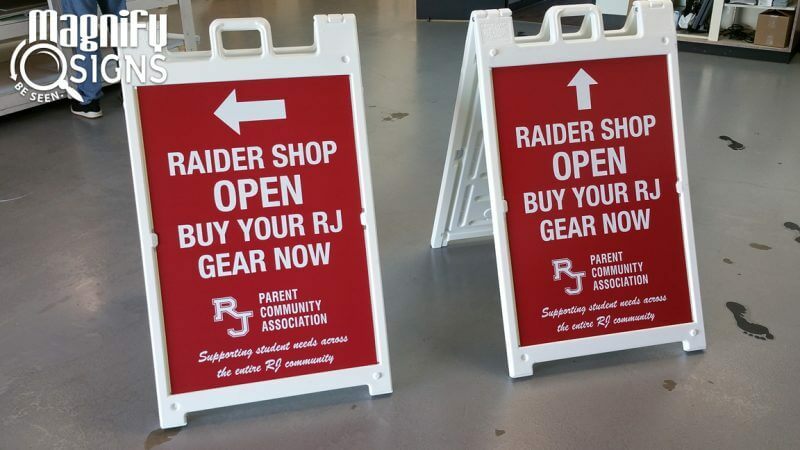 We can’t wait to support your school or organization with custom signage. Call us today to tell us about your organization and arrange your consultation. Whether you’re starting from scratch or want to enhance your organization’s current branding, we can help. We offer our clients a large and complete range of services, from custom design, to manufacturing, to on-site installation. Our team will work with you to create interior and exterior signage that meets your exact needs and specifications, and conduct an on-site survey to help you locate the best place to install it for maximum viewership. If you have a charity event, such as an auction, golf tournament, or bike ride, we can help you with all your signage needs. Whether you run a school or non-profit, your organization needs a custom lobby sign to welcome visitors, students, and staff. A high-quality lobby sign will support the trustworthy and professional appearance of your organization, raise awareness of your name and logo, and encourage a sense of pride within students, teachers, and volunteers. 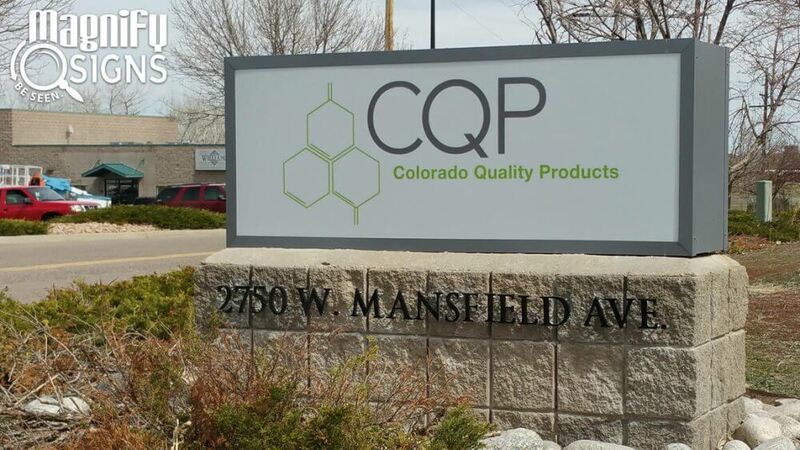 Acrylic signs are an easy and attractive way to improve your organization’s branding, boost morale amongst your students, employees, and volunteers, and promote a professional aesthetic. These signs can be created in a variety of colors and customized to include your organization’s name, logo, and motto. Brighten up boring walls and doors with custom wall murals and graphics. 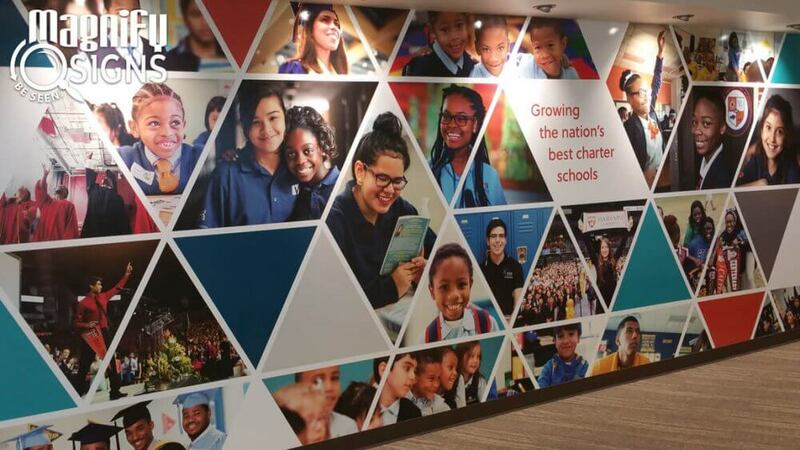 Murals and graphics can be installed in hallways, reception areas, and classrooms to add color and create a welcoming ambiance. Colorful murals are particularly effective in children’s areas to soothe nerves and foster a positive atmosphere while they learn and play. It’s especially important for schools and churches to have wayfinding signs around their building so students and visitors can easily find where they need to go. 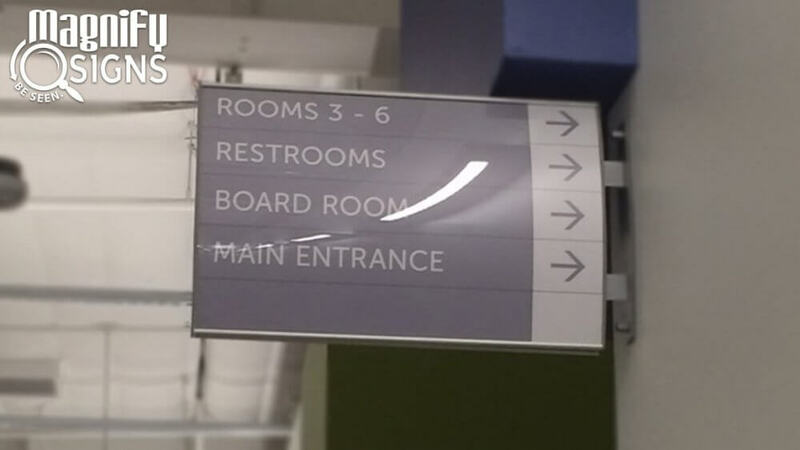 Wayfinding signs can be installed inside and outside the building to help people navigate your space, find entrances and exits, and locate specific rooms. 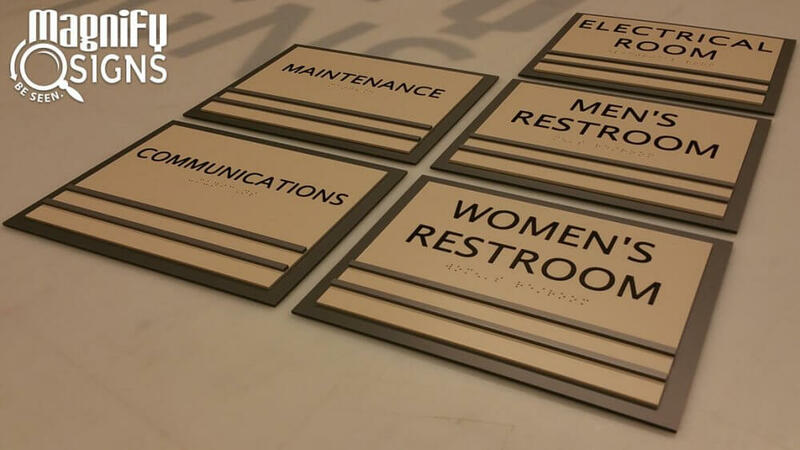 Wayfinding signs can be customized to suit your specifications and branding needs, so they’ll perfectly complement your other your signage solutions. 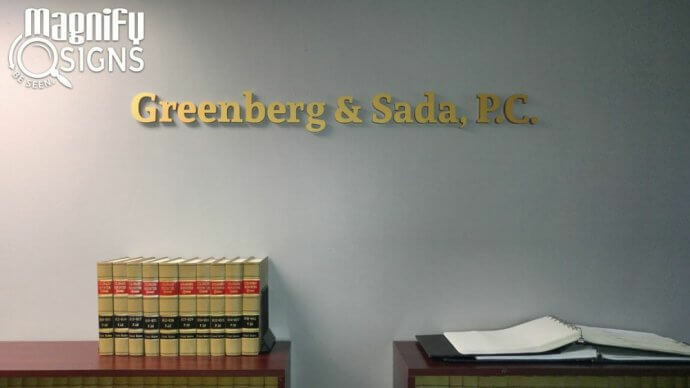 Every building needs to have signage that is ADA compliant to ensure that their organization is accessible to a wide audience of people. For schools, ADA signs are an important part of their overall signage strategy to help students of all abilities feel welcome. 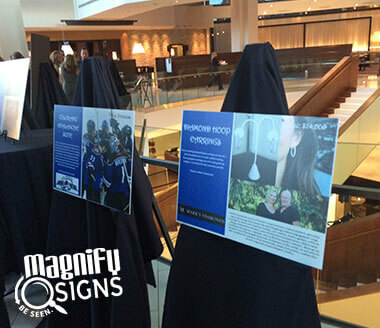 Magnify Signs specializes in creating custom indoor and outdoor ADA signs that meet all local accessibility laws. Installing channel letters outside your organization’s building helps people within your community easily find your building. They’re also useful for raising awareness and letting new members of your community know that your organization is nearby. 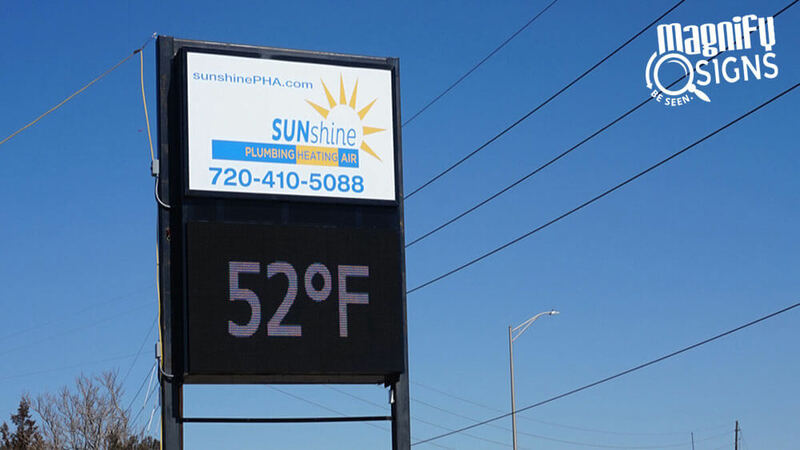 Channel letters are fully customizable and can be made using your brand’s font and colors. Monument signs are a common signage solution for churches to complement their building’s impressive architecture. Their attractive design and large size make a substantial impact, as they are easily noticeable and make a positive first impression. 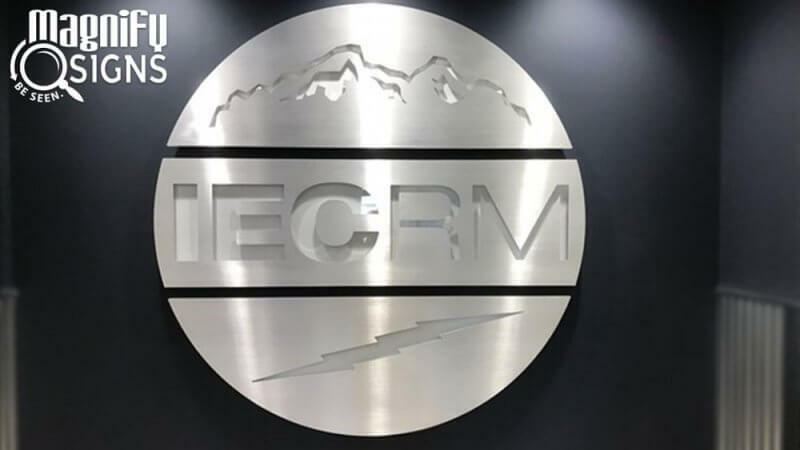 Custom monument signs can be made using a variety of materials, designs, and colors to create a unique look that reflects your organization’s aesthetic. Custom logo signs can be installed outside your school’s or organization’s building to strengthen your presence within your community and let passersby know where you’re located. Logo signs are an especially effective signage option for schools to promote a sense of pride and allegiance within students and teachers. Electronic messaging centers are perfect for organizations that need to share information, such as events, schedules, upcoming athletic games, holiday hours, and other important announcements. They allow messages to be conveniently changed as needed, and their high visibility, dynamic features, eye-catching display make them ideal for schools and churches. Electronic messaging centers can be customized to your sizing specifications and installation requirements. 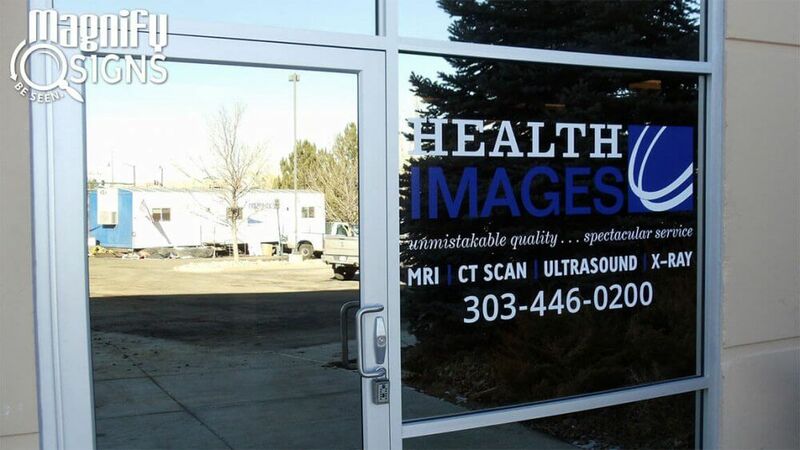 Custom door and window graphics are a convenient and attractive way to create a welcoming appearance. Because the graphics are made of high-quality vinyl, they can be easy changed to reflect the seasons, promote events, or simply freshen up your space’s appearance. Custom graphics can be made using a variety of colors, and can include your organization’s logo, name, work hours, motto, and other images that reflect your brand or cause. Tradeshow displays and pop-up banners make it easy to promote your organization. Using these custom display, you can raise awareness for your cause, support fundraising efforts, attract potential sponsors and volunteers, and tell people within your community about your organization. 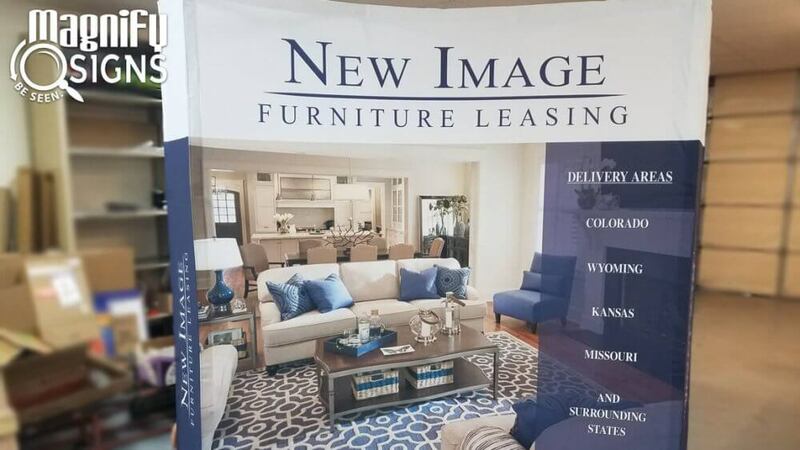 Tradeshow displays and pop-up banners are easy to put-up and take-down, and can be customized to include your logo, graphics, contact information, and messaging. Celebrate and promote your organization’s event with custom flags and banners. Flags and banners are ideal for school athletic games and championships, charity auctions, golf shows, fundraising events, and more. They’re easy to install, store, move around, and can be created using a variety of colors, shapes, sizes, and fonts. 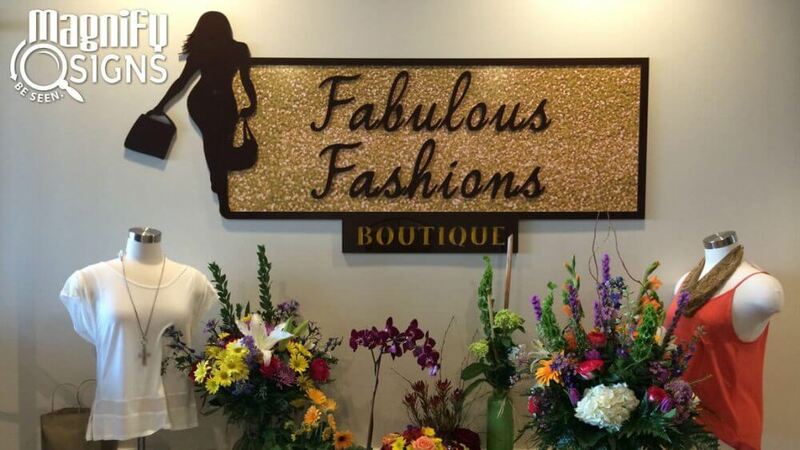 A-frame signs are portable, come in a variety of colors and styles, and are highly customizable. They’re often used to mark pick-up and drop-off areas, promote special events and fundraisers, and let people know where events are taking place. They can be constructed from a variety of materials to suit your needs and budget. Ready to start creating custom signage for your school, church, or non-profit organization? 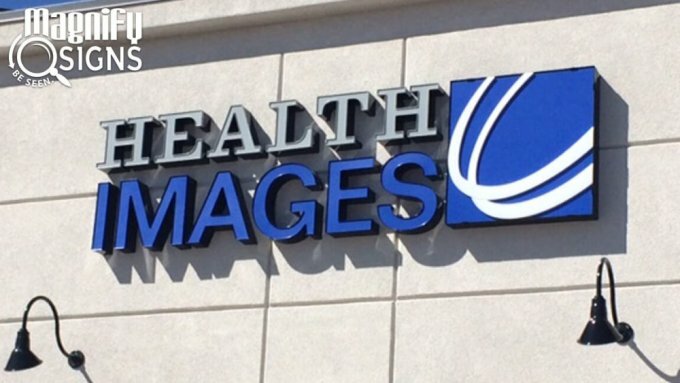 Trust Magnify Signs for all your custom signage needs.